Here at TheVapeSnob.com, you know we love talking about custom high-end mods, but this article isn’t about those rare mods that are unavailable to most vapers. This article is about the best available vape mod that anyone with interest in vaping can purchase. To help those interested in vaping and to fight against the spread of misinformation about the vape devices on the market, we’ve compiled the following list of mods by category. Take a look. We hope it helps! The Smok H-Priv 2 Box Mod is arguably the best box mod for its price on the market today, with a maximum output of 225 watts (previously 220W). The dual 18650 batteries housed inside can last you a whole day with regular vaping. The cobra design pattern and the symmetrical shape catch the eye and lend an expensive look to the device, while its features make this a favorite among vape lovers. Some of the attractive features of the device are the large and ergonomic firing key, easy to read display, sliding battery cover, and several safety features such as Over Heating, Over Charging, and 10-secs cut off. Some of the pros of the SMOK H-PRIV 2 are the power accuracy, superior flavor and cloud production, upgradeable firmware, and battery life, while the cons include the dim display and only one amp for charging. The SMOK H-PRIV 2 is a thing of beauty you will love to own. This is a smaller version of the popular X-Priv by SMOK, designed for those who like small mods. Given the size of the device, it isn’t a surprise that the internal battery is only 2300mAh, providing up to 80W of power. But it should suit most vapers who prefer their mods to be small. This one comes with the TFV12 Baby Prince Tank, along with the new mesh coil. Unlike the previous versions, SMOK has got rid of the external batteries, providing a USB port for charging. 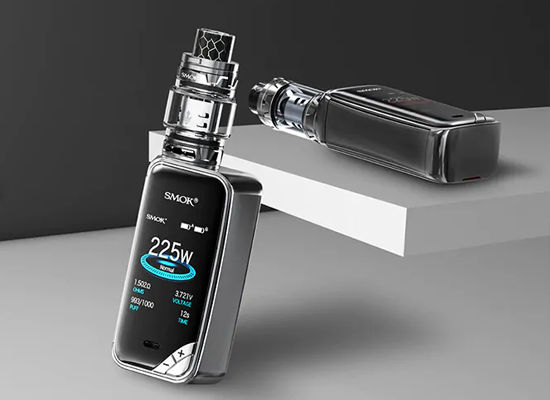 SMOK retains the same chipset under the hood on this Baby kit, and the menu system is also the same as that of the X-Priv. The device has been designed as a starter kit, but it certainly produces a good vape. The small battery and the low power won’t suit everyone, but if you are buying a mod for the first time, this one is good to start with. The Boxer Mod Classic is made for vape enthusiasts. Powered by the Evolv DNA250C processor, the device looks small in size but is extremely potent and powerful. The body is made of nylon plastic, making the Boxer mod strong yet lightweight. The vaporizer features Evolv’s patented Wattage Control, Replay, Preheat, Temperature Protection, On-The-Go USB, full-color TFT screen, an onboard programmable multicolor LED, Reverse Polarity Protection, waterproof onboard buttons, and a real-time clock. Evolv’s EScribe software and Theme Designer software can be used to fully customize all aspects of the interface and monitor the user experience. The DNA 250C features battery monitoring and an integrated 2A charger. It is the sleekest, most stylish, and advanced personal vaporizer controller for avid vapers. Why stick to the same old vaporizers when you can get one of the best box mods around? If you want your vaporizer to make you stand out from the rest, look no further than the WISMEC Reuleaux RX300. 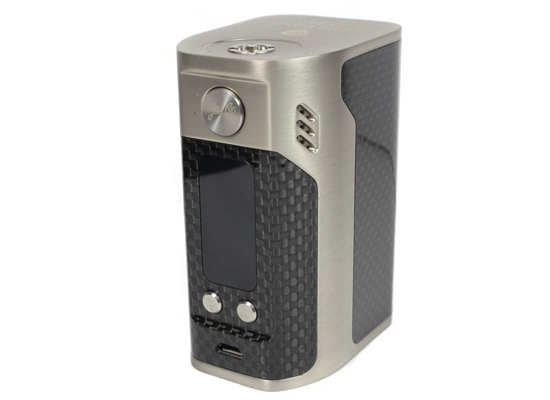 This is a carbon fiber box mod from WISMEC, powered by four replaceable 18650 batteries. The batteries combine to give up to 300W of power and also make the device quite a handful. But that is what separates it from the others. When you hold it, you’ll definitely notice its quality and high-end feel. It has a stainless steel spring-loaded 510 thread and a 0.96-inch display. 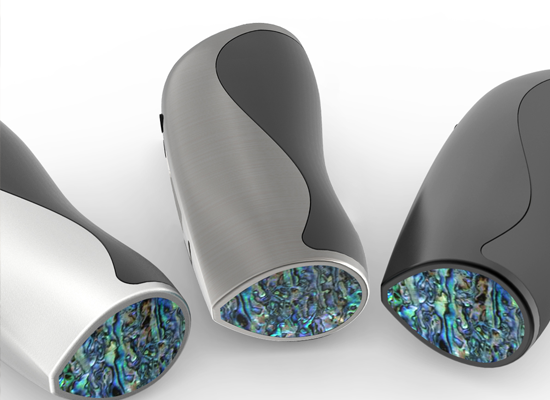 Vaping needn’t burn a hole in your pocket. That is why renowned vaporizer manufacturer Joyetech has come up with a budget pod device that looks stunning and packs a punch. Joyetech was once the master of vaping but sadly fell behind in competition. With the Exceed Edge All In One Starter Kit, the company hopes to gift vapers a delightful pod device with a difference. Exceed Edge is a pod device with interchangeable coils and a refillable tank that makes it compatible with any juice of your choice. That’s a massive advantage of the Exceed Edge when compared to other pod systems in the category. It has an ergonomic design, with many different color options, such as black, orange, red, yellow, silver, or rainbow. The 650mAh battery gives plenty of power for a whole day on moderate use. The flavor and smooth vape clouds are hard to beat, and the fire button in the center of the device makes it operate. There is charging USB port at the bottom, the mouthpiece and the pod are on top. 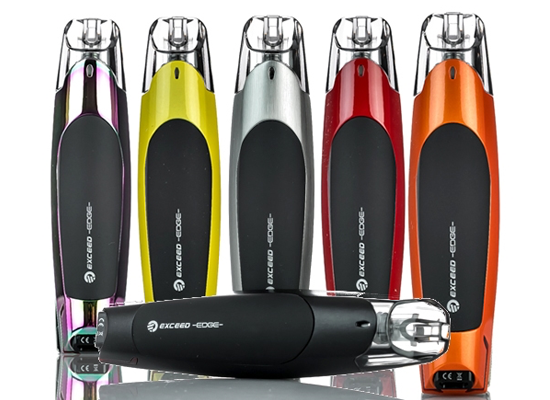 The capacity is 2ml, and the pod also has a removable rubber plug, preventing any leakage. The Joyetech Exceed is indeed a worthy choice for a vape starter kit. Looking for a mod that works on a single battery? Your search ends with the Eleaf Aster 75W TC mod, a compact and streamlined device which accepts a single 18650 battery, offering up to 75 watts of power. The most eye-catching aspect of the device is its design. The compact and ergonomic design tapers towards the end, which not only looks nice but also makes the device convenient to use. The device is straightforward to use, ideal for new vapers because it is discrete and lightweight. There are also several modes of operation, including Temperature Control, Variable Wattage, and Bypass Mode. Some of the other features of the Aster include Temperature Coefficient of Resistance (TCR) Adjustments, Smart Mode Setting, Automated Atomizer Detection, Wattage Lock Functionality, Resistance Lock Functionality, Ergonomic Design, Intuitive OLED Display, Oversize Firing Mechanism, Dual Magnetized Battery Door, Dual Circuit Protection, No Atomizer Protection, Atomizer Short Protection, Short Circuit Protection, Reverse Polarity Protection, Temperature Protection, and Micro USB Port. The device is available in several colors, such as black, gray, deep pink, brushed silver, and white. The Smoant Battlestar 200W has a triangle shaped design that is ergonomic and comfortable to hold. This rubber painted mod is dirt-resistant because of the ceramic baked coating. 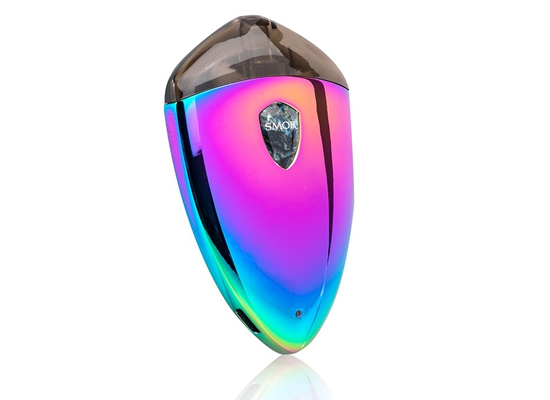 The high-performance device has a fabulous range, powered by dual-18650 lithium-ion battery that gives a wattage output of up to 200W. The temperature control suite supports a wide range of heating materials such as Nickel, Titanium, and three types of stainless steel and a few other exotic materials thanks to the three memory TCR function that can be adjusted easily on the device. Some of the other striking features of the device are the OLED display, battery life indicator, large firing button, and the rocker switch. 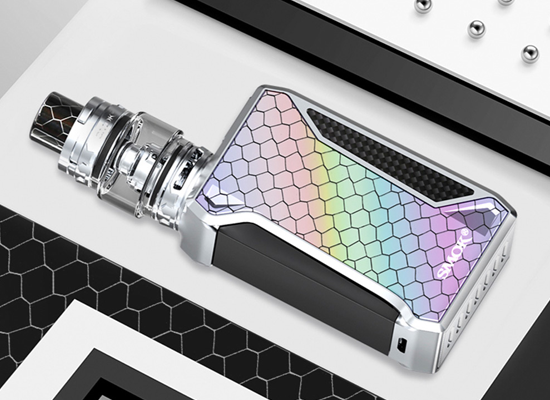 Performance, build quality, and affordability come together to make the Smoant Battlestar a coveted device. Vaporizers should be portable. If you are tired of the massive, inconvenient vaporizers, then you should choose the Rolo Badge Ultra Portable System by SMOK. This is a small, easy to use pod system, ideal for carrying around when traveling. Convenient, lightweight, and small enough to be forgotten when in your pocket, this pod is a great tasting e-cigarette. One of the most striking elements of the Smok Rolo Badge is its shape. It is shaped like a teardrop, different from the usual USB or pen-style designs. The metallic pod has a reflective finish. The pod houses the 2ml tank, and also the in-built coil and drip tip. Despite these features, you shouldn’t expect too much of performance from this device. You won’t get big heavy clouds, but only a subtle and tasty vape. Lost Vape is the latest in the Paranormal series (Paranormal Activity was excellent, but they ruined it with Ghost Dimension – this product has nothing to do with this movie series). 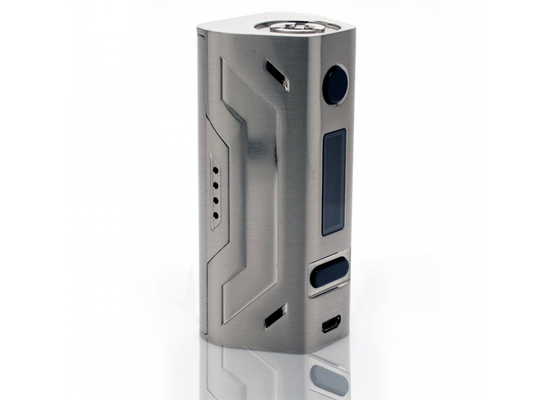 The mod comes with Evolv’s highly advanced DNA250C chipset. In fact, this is one of the best chipsets you will ever find on a vaporizer. Lost Vape has the reputation of making the most beautiful and best box mods, and the tradition continues with the Paranormal. 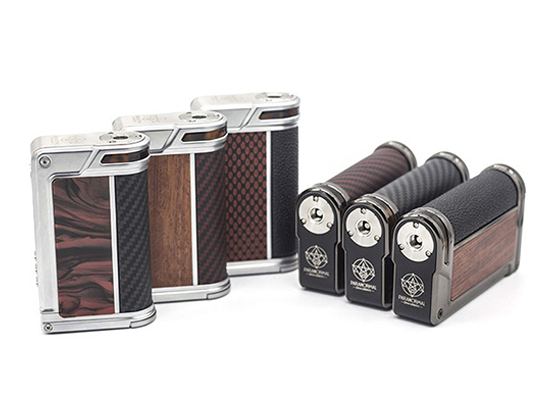 The DNA250C has been crafted with of die-cast Zinc Alloy in stainless steel or gunmetal color with three options of premium accented leathers and four variants inside inlays. New to the DNA250C are the upgraded functions that take the device to highly sophisticated standard. One of the most impressive functions of the device is called REPLAY, which allows vapers to select, save, and replay their favorite flavor puff. There is also an On-the-Go function that enables Lost Vape Paranormal DNA250C to function as an emergency power bank. For vapers, the vaporizer isn’t just for smoking. It is also a style statement and accessory. Any vaper would love a mod that’s stylish, but Venvii goes a step further and gives avid vapers a beautiful mod called the Baby Ness. As the follow up to the Loch Ness, there are many similarities between the Baby Ness and its predecessor. The first striking feature of the Baby Ness is the ergonomics. Sleek and slim, the device is easy to use and looks incredibly attractive. The Baby Ness fits in your hand perfectly. The Baby Ness is based off the original stabilized wood mods. Some of the advanced features of the device are different wattage modes like boost, smooth, curve, and normal, temperature control, reverse polarity protection, and short-circuit protection. This is the first full mechanical squonker from Lost Vape, featuring a 9ml silicon bottle system and a mechanical bottom feeder, utilizing a single battery. Designed for vape enthusiast, the Furyan is a perfect balance of functionality and power. Made with ULTEM plastic, the device is lightweight yet durable, with the brass chassis giving a unique and luxurious look. The device is definitely a looker and delivers an equally powerful performance. The squonker is easy to fill and use, with a superb build quality and decent pricing. The only downside is the difficulty to take the device apart for cleaning. Now that we have reviewed some of the most popular vape mods and best box mods, it is time to learn how to pick the right vaping device. Choosing a vaporizer isn’t as easy as buying a pack of cigarettes. There are so many different types of shapes, designs, features, and price points that the buyer can end up feeling like a child in a candy store. The process is even more laborious for those new to the massive world of vaping. Of course, you can always pick up the one that your friend recommended, but you may not like the taste, flavor or the design of the product. To find the right match for your taste, you need to perform some trial and error, but we can help you started by providing some useful guidelines. Put together, a vape mod [often also called box mod] is the advanced and upgraded version of regular e-cigarettes. Today, the best mods on the market have overshadowed the old-fashioned e-cigs and are even preferred by many regular cigarette smokers ( although the jury is still out on that one). There are different types of vape mods available today, in varying price ranges. Some are more affordable than others, while some deliver better performance and taste. So when picking the best vape box mod, it’s important to know that every vaping device has a specialty of its own. Some are more gorgeous than others, and some offer more power and control. Some produce heavy clouds, while some are the most budget-friendly. You just need to figure out what you want out of a vape mod. Above, we review some of the most popular vaping devices according to their distinguishing feature. How To Choose The Vape Mod For You? While there is no hard and fast rule regarding your choice of vape mods, there are a few pointers that could guide your selection. For instance, if you’re a first-time user, it is wise to not spend money on a high end, expensive, and complicated mod. If you vape for a long time throughout the day, then a mod with excellent battery life should be chosen or one that is easily chargeable. If style is what you prefer, then look for a mod that packs both good looks and functionality. The Baby Ness is perfect for those looking for a stylish vape mod, while the Smok H-Priv 2 is excellent for those seeking decent battery life. To be able to choose the right vape mod, you first need to understand the different types that exist. We have reviewed a few of the products above, but there are other types of vapes too. Tank: This is where you pour in the e-liquid. The tank also has the wicks and the heating coil. Coils: These are replaceable wires that wind into a coil shape and are wicked with cotton to absorb the e-liquid. The coils are then heated to turn the liquid into vapor. Coils usually come in various resistances. While different vapers prefer different resistances, the current trend usually leans towards lower resistance coils. Lower resistance coils are larger than higher resistance ones, and the greater surface area allows more of the liquid to be in contact with the coil. This produces better flavor and vapor. On the downside, lower resistance coils drain the battery faster and also causes the device to overheat. Using devices with lower resistance coils is also known as sub ohm vaping. Batteries: The device is obviously battery-powered. Some vapes have an integrated battery while others have replaceable and rechargeable ones. Mods: This is the compartment that houses the batteries and connects to the atomizer. E-Liquid: This is what you inhale. It is usually made by blending propylene glycol, vegetable glycerin, food flavorings, and sometimes nicotine. When heated the liquid produces vapor. What Are The Advantages Of Vape Mods? When vaporizers were first created, they were meant to be a healthier alternative to cigarettes. Today, vape mods are in a league of their own. In fact, many vapers may not have smoked an actual cigarette ever. Those new to smoking often want to start with vaporizers because of the various advantages compared to regular smoking. So what exactly are the advantages? Cigarettes are one-dimensional in how they look. 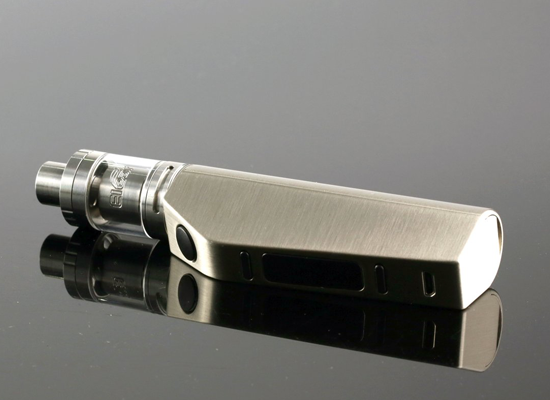 On the other hand, vape mods are sleek, stylish, and very attractive. They come in a range of designs, colors, and sizes, so you can pick one to match your personal style. A vape mod is often like an extension of your personality, something you can flaunt among your vaper friends. If there’s one feature that has made the vape mod so popular is the ability to produce more significant vapor. This is typically the case when you use lower resistance coils or sub ohm vaping. Some vape mods have the ability to produce almost superhuman vapor clouds. Such vapor production is never possible by an ordinary cigarette or by another vaping device. Only a vape mod with lower resistance coils has that ability. Cloud chasing is the most fun with vape mods. When you smoke cigarettes, you go around with that horrible smell that’s repulsive to most non-smokers. You let people know from a mile off that you were smoking. However, vaporizers don’t have that problem. E-liquids come in various flavors, from cinnamon to strawberry to mint. Besides, they don’t smell like smoke at all. People tend to think you had been either chewing gum or used a mouth freshener. You smoke cigarettes and they literally disappear into the air. But vape mods can be used for a long time. If you choose one with replaceable coils and battery, then you can even get it repaired in the long run. Not all vape devices are created equally. Even though they all run on the same fundamental principle, there are marked differences between vape mods. Depending on the type of vape mod you have, you must learn to use the device properly, not just for getting the maximum taste and vapor, but also for making the device last long. Disassemble the vape mod at night: Once you finish using the device for the day, it is recommended that you disassemble the vape mod. This is because the e-liquid might leak and damage the device. Although this seems like a chore, having the habit of disassembling your vape mod before you retire for the night will give the device a longer life. Mind the tank: Not all tanks are made all kinds of liquids. There are stone tanks, plastic tanks, and glass tanks. The first two are usually found on inexpensive starter kits, but they have the ability to crack when used with certain liquids. If you want the ability to use any kind of juice, upgrade to a vape with a glass tank. Take care of the juice: Your bottle of e-liquid should be as cared for as the vape mod. To preserve the flavor of the liquid, never leave the bottle open. Even Napoleon Dynamite can figure that out! When vaping first became fashionable, it was endorsed as a safe way to quit smoking because liquid nicotine is considered less harmful than cigarettes. However, now that vaping has achieved cult status, a lot of research has gone into the product, and it has been found every time that nicotine liquid is as harmful as smoking cigarettes. Liquid nicotine is banned in many countries. You also have to be of legal smoking age to be able to buy a vaping device. Countries like Australia not only ban vaping devices, but the laws surrounding them are the same as tobacco laws. Researchers are disappointed that vaping devices undo the years of work done to reduce the smoking rate. While it’s true that e-liquids don’t contain monoxide or other such toxic substance that cigarettes contain, the World Health Organization has stated that given the highly addictive nature of nicotine, it’s unlikely to help someone quit smoking. Vaping has helped many people quit smoking, but on the flip side, vaping has introduced nicotine to many non-smokers as well. Is vaping healthier than smoking? We think so. Is NOT vaping at all even healthier? We also say yes. But after you do your research and still decide to vape, then we would recommend choosing one of the vape mods listed above. The world remains divided on the use and advantages of a vaping device. But that doesn’t change the fact that a vaping kit is fantastic for so many people. They are neat, smell nice, and last for years if well cared for. They are often a worthy investment for vapers. Whether you’re a new vaper, an experienced vaper, or a confused vaper looking for the best vape mod, you cannot go wrong with one of the vaping devices above, as long as you know what you are looking for, and if you don’t, hopefully, we were able to help you narrow it down a bit.